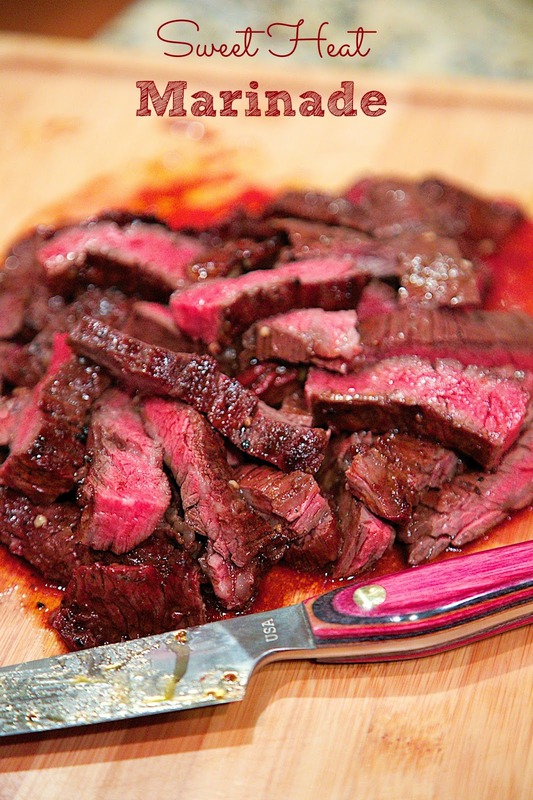 Sweet Heat Steak Marinade - hot sauce & brown sugar marinade that is totally addicting!! Great on any cut of steak! This might be my favorite skirt steak marinade. That says a lot, because there are several marinades on the blog that I absolutely love. We have made this twice in the past few weeks. I can't get enough of it. I LOVE it! I might make it again this coming weekend. I'm addicted. Even though this is marinated in a cup of hot sauce, it didn't have a lot (if any) heat. It tasted delicious. The sweetness from the brown sugar balances out the heat in the hot sauce. We love to use skirt steak with this marinade, but it would also be great on rib eyes or sirloin steak. It would probably be good on chicken and pork too. 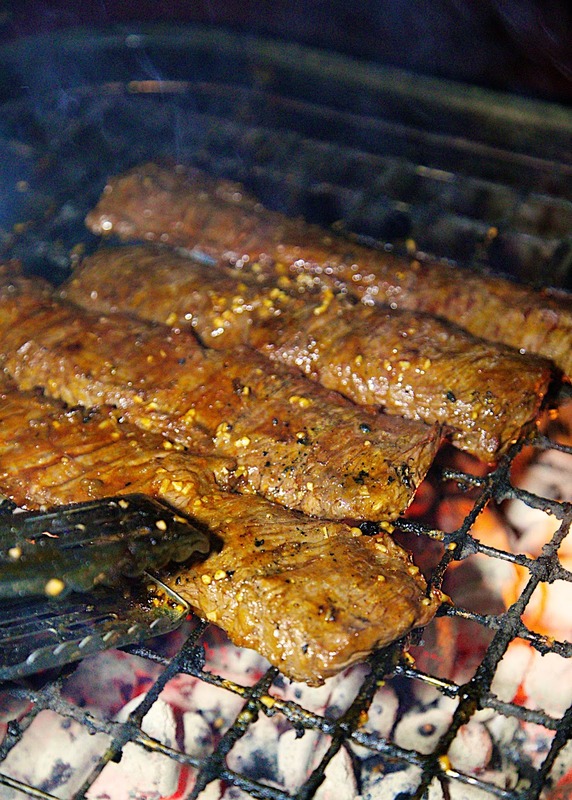 We always grill 2 pounds of skirt steak when we make this. We like to make quesadillas for lunch with the all leftovers. Whisk together first 7 ingredients. Pour over meat and refrigerate for 4 hours, up to overnight. Remove meat from marinade and grill until meat has reached desired temperature. *Skirt steak cooks really quick. It only takes about 4-5 minutes per side. What type of hot sauce do you use? I used Frank's hot sauce. Crystals would also be good. looks great, but what brand of hot sauce do you use, please? This marinade is amazing...we used it on flank steak and tonight we are trying it on chicken. can't wait. Thanks so much for the recipe! What type of vinegar do you use? Thanks! what do u make with it ?